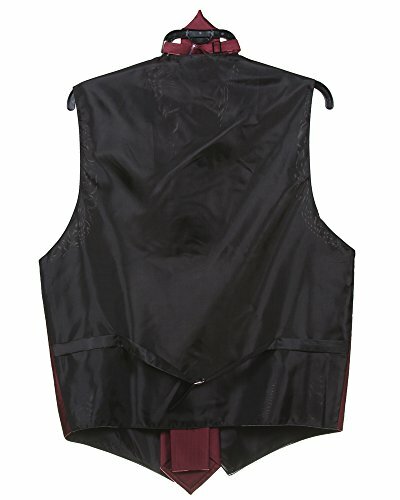 This 4pc tone on tone Stripe dress vest set is made of high quality to last for years. 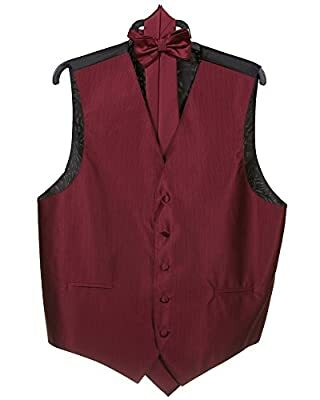 The set includes a vest, matching bow tie, Necktie, and hanky. It is great to wear with a suit or tuxedo for special and formal occasions; Perfect for proms, weddings, graduation and dress code attire. It can also be paired wth a pair of denim jeans or slim dress shirt for a great look.